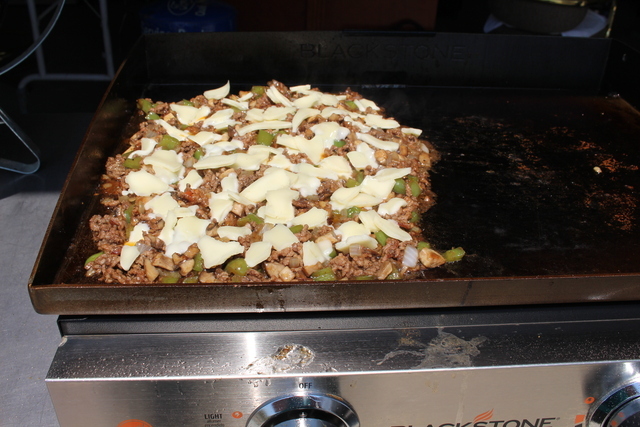 Mushrooms, green peppers, and onions with some butter on one side of the griddle and the burger browning on the other. After the veggies and burger was mixed we add the broth slurry, ketchup, and worcestershire sauce. Got that all mixed well and then added the provolone cheese. Cheese all melted and mixed in. 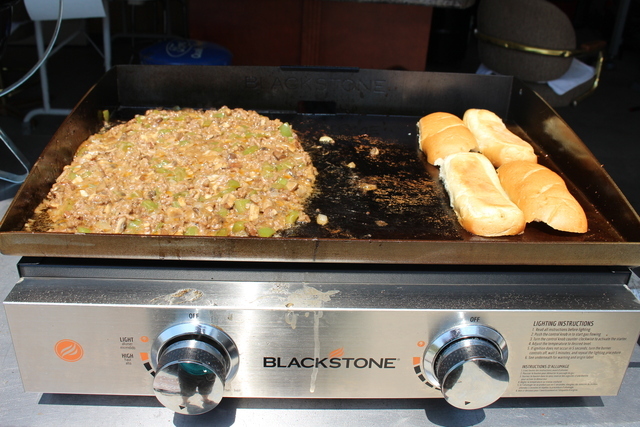 Turned off the burner to the Philly Cheesesteak Sloppy Joes mixture and waited for the buns to toast. Turned out excellent! This makes for a great easy weeknight or camping meal! 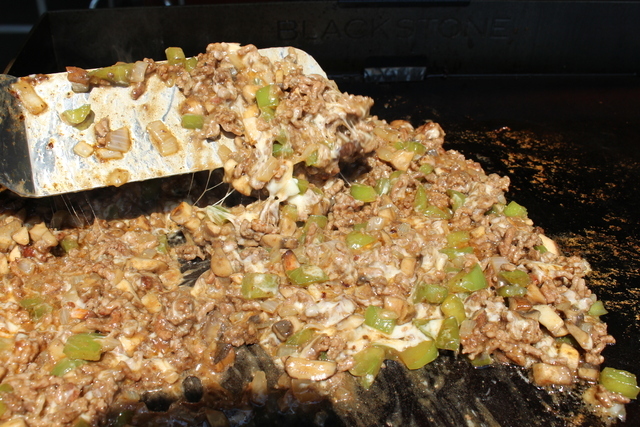 All that cheese melted does make for a messy griddle. I think we will try this next time with just melting whole slices of provolone on the top for a little easier clean up. That looks great Mossymo. Thanks for sharing. 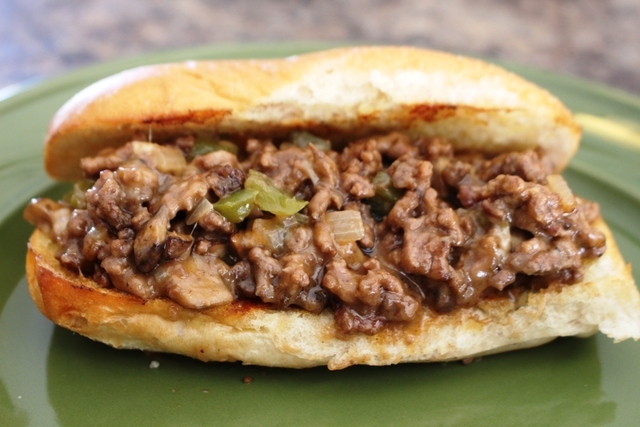 I'm not a big fan of green peppers in my cheese steak, but that looks solid. Thanks for posting.